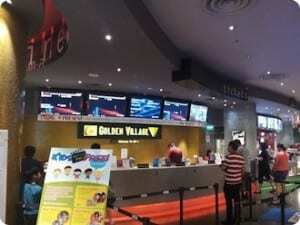 With almost 70% of Singapore’s cinema market share, Golden Village Multiplex has further strengthened their industry-leading position with the opening of their Cinema at Katong. This dynamic, modern venue has reaffirmed Golden Village’s determination to offer the best cinema experience in the region, at a convenient location. Thousands of people can visit the venue in a single day, and Golden Village’s operators recognised the importance—and inherent difficulties–of communicating important information to large numbers of customers.